Derek Martin is a great realtor, he is knowledgeable, friendly, professional, works well with the clients needs. Derek is generous with his time and listens well to the clients which in turn does not waste time showing homes that do not match clients wishes. We highly recommend Derek Martin, we will continue to spread the word and hope homeowners choose him as their realtor. Because I live some 800 km away from Kelowna, acquiring property has an extra challenge for the realtor. My knowledge of Kelowna was minimal. Team Martin's unobtrusive guidance was invaluable in deciding on the perfect area to meet my needs. Team Martin also went to unexpected trouble to film and collect detailed data of prospective properties. These were sent to me so that I could evaluate the suitability of potential properties from 800 km away and only had to travel to Kelowna when a suitable property meeting my multi-faceted needs was available. I have always felt that Charles and Derek Martin have regarded my interests as their highest priority. I am completely satisfied with my recent purchase and with a previous property purchase for which they were my agents. 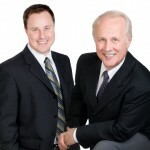 I would recommend them most highly and will certainly enlist their help, should I again purchase property in Kelowna. Derek and Charles Martin were extremely friendly and helpful. They helped me cope with the disappointments of offers falling through and worked hard to finalize my home sale. I could not have been more happy with them and am happy to be able to say I have two new friends! I will not hesitate to refer team Martin at any opportunity. Derek Martin of "Team Martin" assisted with the purchase of my new home in West Kelowna. Derek was professional, easy to work with and eager to help. I don't have any misgivings with my recent experience with Derek and would engage him again. I would recommend him to any prospective buyer or seller. This is our sixth transaction with Derek and we stuck with him for a reason. He is very knowledgable about the Okanagan and it was always so easy to contact him with any questions. Although we've just found our forever home and might not need him as our realtor for a while, I recommend him to all my friends and family.